GumGum is the leading in-image and in-screen ad platform, driving brand engagement for advertisers and increased revenue for publishers across every screen. GumGum Sports announced a record 2018, doubling clients, employees and quadrupling revenue. The new partners came from the NHL, NBA, MLB and esports. Long gone are the days when contextual targeting was based on a simplistic reliance on a single keyword. With advances in computer vision, it’s now possible to decipher the visual content of a publisher’s page. Visual images are much easier for the brain to process than text, according to a new report released by The Drum in partnership with computer vision company GumGum. The brain, in fact, can process them up to 60,000 times faster. 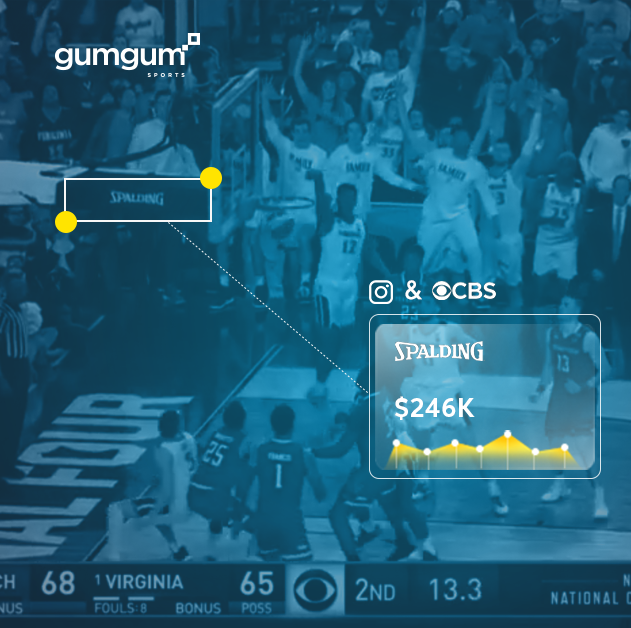 GumGum Sports and FanAI have partnered to help esports organizations tap into the advertising value of their Twitch streams. What is computer vision exactly? Basically, it’s an umbrella term describing any technology that allows a computer to analyze and understand images and videos. Learn how companies are using computer vision to power contextual ad targeting to increase the effectiveness of their marketing campaigns. Sponsored by GumGum. Why Nudge.ai? Reach out to the decision makers at GumGum with a personalized email - let them know that you found their recent news mention interesting. Nudge.ai’s relationship intelligence platform can help you find the right executive to reach out to at GumGum, such as Som Puangladda, Vice President of Global Marketing, or Robert Elder, Senior Vice-President, Sales. Then get in touch and start a conversation. Executives can be difficult to reach, but every company has connectors who bring together people and ideas. At GumGum, people like Ben Plomion, and Som Puangladda are likely connectors. When GumGum is mentioned in the news, Nudge.ai often sees topics like Marketing, and Video. If your conversation focuses on these topics, you’ll probably get GumGum’s attention. When GumGum is mentioned in the news, companies such as Hubspot, Third Door Media, and Emarketer are often also mentioned. These companies can serve as customer examples. Employees who are often in the news are usually open to starting conversations or exploring ideas. Nudge.ai's sales AI saw Ben Plomion, Som Puangladda, and Ken Weiner from GumGum recently mentioned in the news. From what I saw at CES 2019, this may ultimately be remembered as the year computer vision products went mainstream. Here are some of the indicators. COO Phil Schraeder will succeed Ophir Tanz. Who in your network can introduce you to GumGum? Nudge.ai finds the best pathway to reach contacts at this company.